Admission | Physics, Kyushu Univ. The Department of Physics offers courses for degrees of the Master of Science and Doctor of Science in Physics. For international students who like to enroll in undergraduate school. For international students who like to enroll in master and doctor courses. 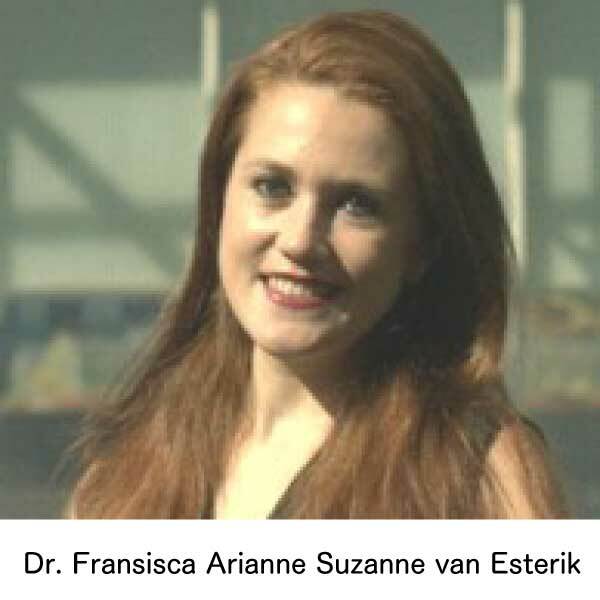 Dr. Fransisca Arianne Suzanne van Esterik joined as a postdoctoral researcher in the Department of Physics, Faculty of Science, Kyushu University in 2017. She focuses on the mechanical machineries in the cell body and nucleus of embryonic stem cells with feedback-controlled microrheology at different stages of mammalian development under the supervision of Professor Daisuke Mizuno. These studies are relevant to give a significant step forward in understanding processes in developmental biology such as in vitro fertilization, and preventing the high rate of early pregnancy loss in humans, and thereby having a high impact on the society. She received her BSc and MSc degree in Biomedical Engineering from Eindhoven University of Technology, and her Doctoral degree from the Academic Centre for Dentistry Amsterdam (ACTA), University of Amsterdam and Vrije Universiteit Amsterdam, MOVE Research Institute Amsterdam in 2017. Her thesis research was on the interaction of stem cells in/or biomaterials by using different cell types and biomaterials with implications for bone tissue engineering in oral regenerative medicine. Fukuoka has a good atmosphere with lots of variety and new places to try which makes it an enjoyable city to live in. There is a lot to explore with cutting-edge technologies contrasted against ancient and forgotten traditions surrounded by beautiful and breathtaking nature. Daily expenses are moderate and dining out can be more affordable than cooking at home. Finding Japanese friends will give you the chance to experience a myriad of things including temples, waterfalls, gardens, ponds, annual festivals, and enables you to unravel step by step the interesting Japanese culture. Living in Japan still amazes me every day, and therefore, I experience it as an enormous enrichment and deepening of my life. © 2018, Department of Physics, Kyushu University.